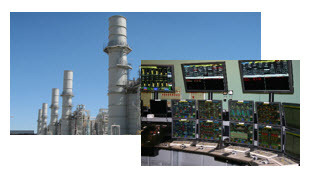 As identified in the NERC Standard EOP-005, each Generator Operator with a Blackstart Resource shall provide a minimum of two hours of training every two calendar years to each of its operating personnel responsible for the startup of its Blackstart Resource generation units and energizing a bus. This computer-based training course addresses aspects related to the general responsibilities of Generating Operating Personnel in their role of supporting real-time operations with regards to system restoration. Topics covered in this online course include: History of Blackouts, Types of Blackout, Blackout Causes, NERC Responsibilities, Authorities, and Standards, Frequency and Voltage Control, Load Pick-ups, Synchronization of Islands, Generating Operating Personnel Responsibilities. Each lesson area in this course is culminated with a review and a quiz. Individuals must attain a passing grade of 70% on each quiz in order to be awarded the appropriate NERC CEHs.